Tim is a partner in Communion Café and a career coffeeist who – like so many others – wound up in the industry by chance. 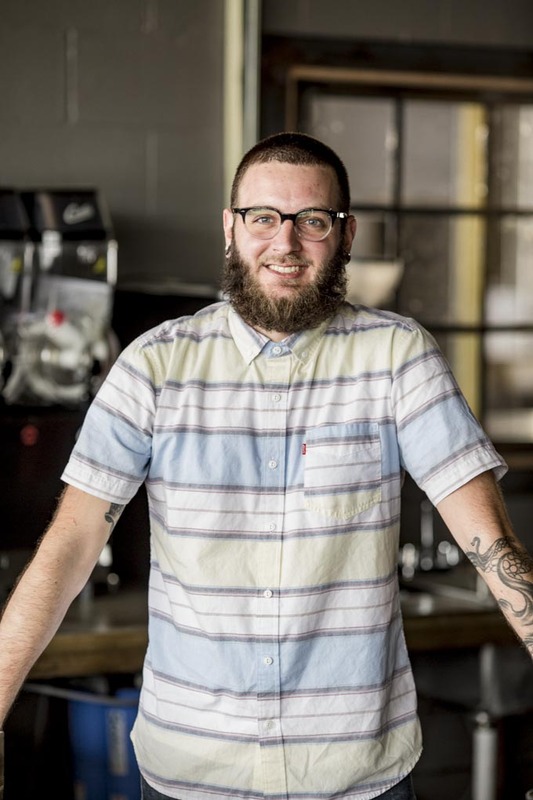 Starting as a barista at a Starbucks’ in Frisco, TX – where he grew up after relocating from the Midwest as a child – over the last decade, Tim has worn many hats ranging from café manager to trainer to technician and more. Prior to his involvement in Communion café, Tim’s most recent positions included time spent as Trainer & Technician for Oak Cliff Coffee Roasters and Director of Coffee Operations for Ascension Coffee Roasters - both based in Dallas, TX – as well as starting and operating an espresso oriented catering operation, Rail Cart Espresso, with business partner Kyle McAdams. Tim enjoys giving back to the coffee community that has empowered him throughout his career and regularly volunteers with the Coffee Technician’s Guild, the Barista Guild of America and the Specialty Coffee Association, through which he is a certified Lead Instructor and Gold Cup Technician. When not working, Tim’s foremost passion is spending time with his wife, two daughters, son, two cats and dog. Tim’s other passions include cooking, visiting art museums, writing – most recently for publications such as the Dallas Observer and Fresh Cup Magazine – making noise on his guitar, and a good beer. Tim’s favorite aspect of the food and beverage industry is its capacity to bring people together and he is honored and excited to share the team’s vision for culture and hospitality with the Richardson community.